The debut volume in an ongoing series of historical adventures focusing on the various branches of the fictional Crogan Family Tree. In CROGAN'S VENGEANCE, "Catfoot" Crogan is an able-bodied mariner plying his trade for a dastardly "legitimate" captain with a grudge against Crogan for a slight committed well before he was born. 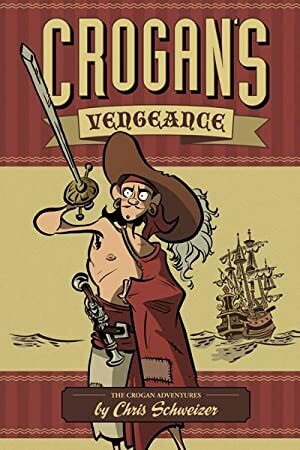 But when his ship is taken by pirates, will Crogan stay loyal to his law-abiding, if despicable, captain or will he find a new life on the high seas living by the "Pirate's Code"?